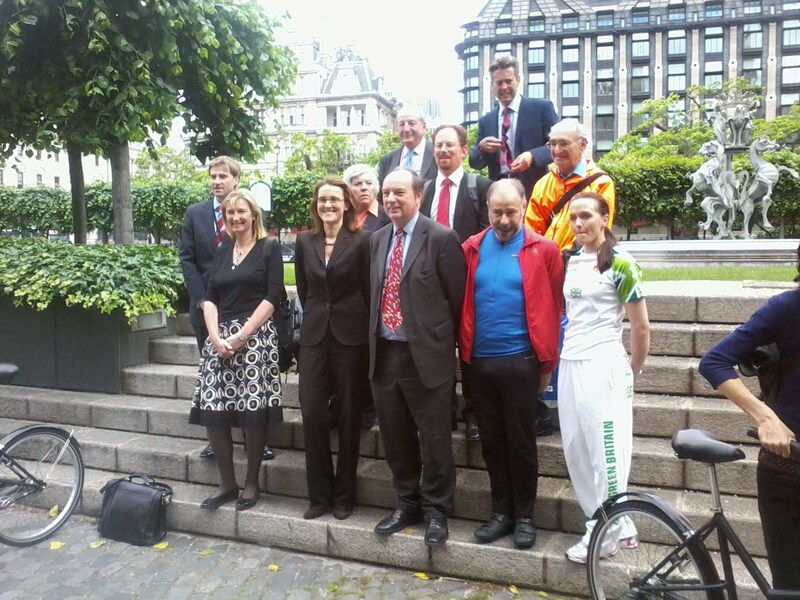 Just back from a quick sortie over Lambeth Bridge to Westminster to have a ride with some of our Parliamentary representatives - from the House of Commons and the House of Lords on their annual ride. 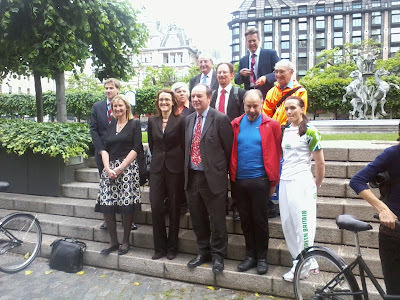 Here they 'all' are, with non-parliamentarian Victoria Pendleton. And, yes they can ride a bike - although there were also a lot of electric bikes on the ride with the supporting entourage. 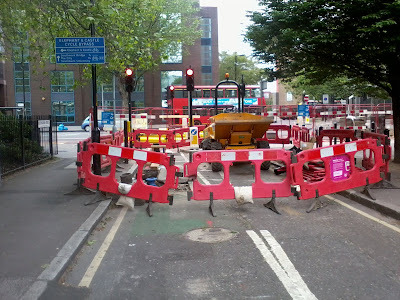 While I'm an experienced London cyclist my preference is to take the mellow cycle by-pass around Elephant and Castle. Currently the bypass is so blocked and disrupted by works for the Cycle Superhighway that I've given up on it and risk the roundabouts. 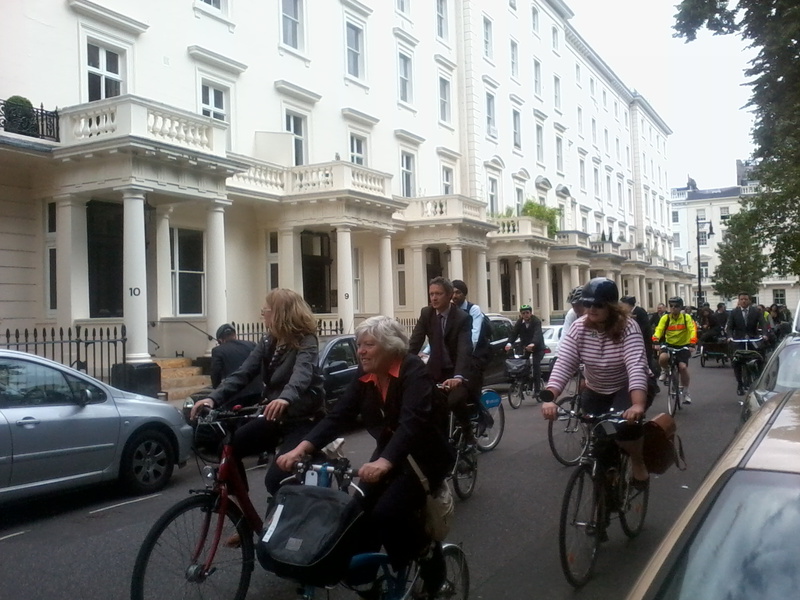 I'm sure I'm not the only one doing this and my mind boggles at how a measure to make cycling safer can be introduced in a way that encourages the riskier route to be taken. There is no signed detour and no sign of any overtime working to minimise the amount of time the by-pass is out of action. 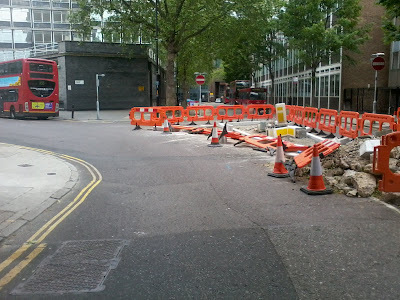 I'm afraid that the lack of care and consideration shown by TfL in building the Superlieway may be reflected in the finished route. 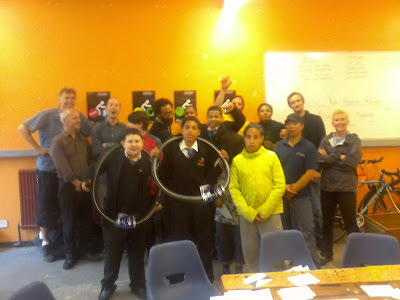 Representatives from Lilian Baylis Technology School, Archbishop Sumners and Walnut Tree Walk Primary Schools, Citizen Schools met yesterday alongside mechanics and ride leaders in the new cycle hub. Saxa, a parent of a child at Walnut Tree Walk and committee member of the PTFA there, is going to be putting his carpentry skills to good use to tidy up the front of the building. Tools and spare parts are ordered and the South Bank Employers Group are providing abandoned bikes. Work starts on getting them up to scratch this coming week. Other necessities such as a kettle have been donated. 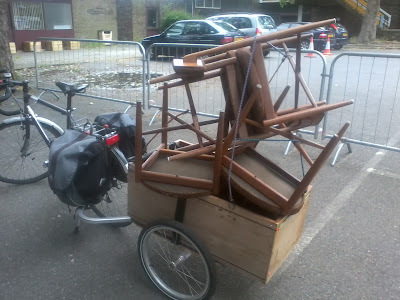 A chance find while out with the trailer were four chairs destined for the skip. They now grace the space instead - reflecting our policy of reuse over buying new where possible.